On the iPad navigate to the Apple app store. Within the app store, locate the 'Updates' Button. Locate the SwipedOn app and tap on 'Update', then tap 'Open' once the update has completed to relaunch SwipedOn. On the iPad navigate to the Settings icon. 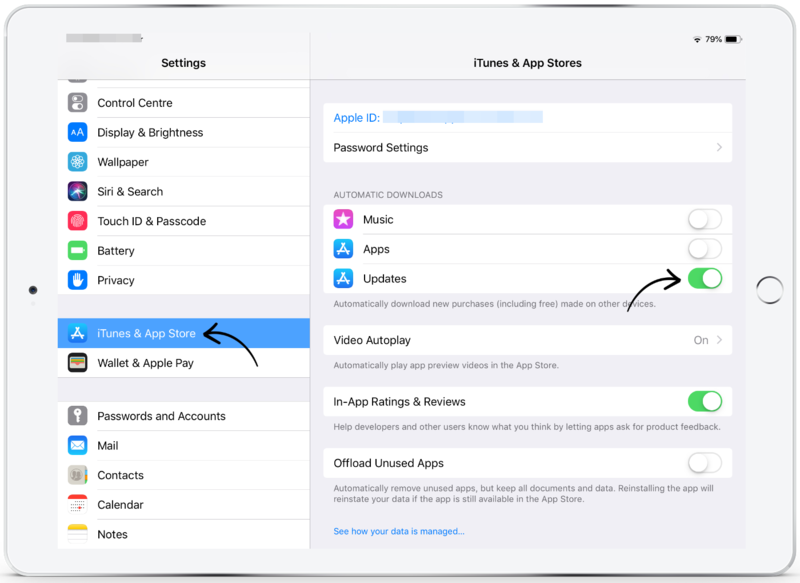 Within the settings, scroll down to the iTunes & App Store. Enable automatic updates by sliding the toggle to the right. 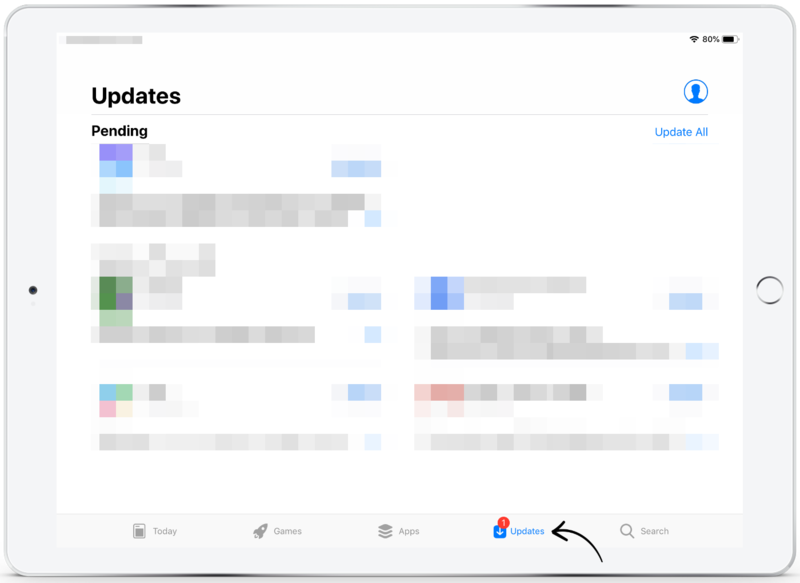 Once enabled, when a new version of the SwipedOn app is released, the iPad will seamlessly download and install the update automatically.